A visionary, leader, and gentleman. 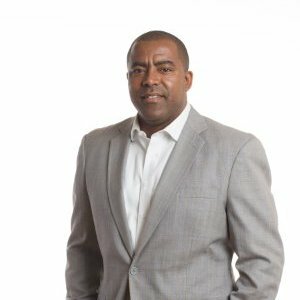 Aric K. Perminter, Chairman, Founder and Chief Revenue Officer, has embodied all three roles while guiding Lynx Technology Partners through its evolution into a multi-million dollar Information Security and Risk Management company. As chairman of the Board of Directors, Mr. Perminter is responsible for formulating and executing long-term strategies and interacting with clients, employees, and other stakeholders. He assists Lynx’s CEO with making decisions and establishing policies – setting the tone for the company’s values, ethics, and culture. Mr. Perminter exemplifies Lynx’s commitment to helping its clients achieve high performance. He is a proven leader with deep expertise in developing strong customer relationships, a passion for building outstanding client teams, and a disciplined focus on operations and execution. In his 25-year career, Mr. Perminter has held a wide variety of leadership positions across key parts of Information Technology businesses. He founded Lynx in March 2009 and served as the CEO through August 2015. Prior to founding Lynx, he was Regional Sales Manager of Lumension Security’s northeastern region, which services clients’ endpoint security and risk management needs. From June 2004 through October 2007, Mr. Perminter was partner at Secure Technology Integration Group, with primary responsibility for STIGroup’s business development program. In that role, he oversaw sales, marketing, and partner management initiatives globally. He also served as Founder & CEO for Precise Technologies Group from January 1998 through August 2003, at which time it was successfully sold to Infinity Consulting Group. After serving in the United States Army, Mr. Perminter spent his earlier career with the Greenwich Technology Partners in the Financial Services Operating Group, where he served as Sales Manager for the northern region. Mr. Perminter represents a number of external venues. He is the second member and shareholder of THREAT STREAM, serves on the executive board of BCT Partners, is a member of the Employer Advisory Council for Per Scholas, an Advisory Board Member of CloudeAssurance, and investor in SecurityCurrent.